Solar prices have been crashing at an astounding rate with each new tender leading to a new lower solar price. Last year the price of INR 5/kWh was considered as a crazy irrational price by Sky Power which would have resulted in a stranded asset. Move a year forward and even the price of INR 2.44/kWh which was bid for a recent solar utility project in the desert state of Rajasthan seems viable, though still a bit risky. The buyers of power discoms are all in a tizzy right now. If a utility had waited for a year, it would have seen its buying price cut in half leading to savings for hundreds of crores of rupees over the PPA life of 25 years which is the norm for the power industry. Even the recent REWA tender where the levelized price of INR 3.3/kWh was discovered seems exceptionally high as compared to the INR 2.44/kWh prices. Falling solar equipment prices and low interest rates have been the two main factors behind this fall in price. Distribution utilities in India are now facing a serious case of buyer’s remorse as they worry that they have paid too much for the power bought earlier. Now they are rethinking their entire buying process with most of the utilities completely halting signing of new PPAs, as they clarify their new process. Discoms are mulling that they scrap the 25-year power purchase agreement with power sellers in which a fixed price of power is contracted over the course of the asset life. This will be done in order to ensure that the power contracts do not become a huge burden on the discoms. Already some of the Gujarat utilities which contracted PPAs with solar power plans at INR 15/kWh in 2012 are facing serious financial troubles. They have gone to court to nullify these PPAs but have been thrown out as they are legally binding contracts. Power sellers, on the other hand, will have to think how they will manage the short-term PPAs as they cannot sustain the business on just one year visibility. They would need to consider the whole life of the asset which is around 30 years. 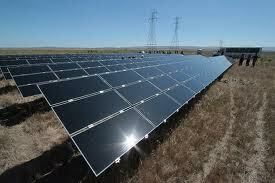 With solar equipment prices falling, their plants may become unviable in 3-4 years which could lead to huge losses. They would only invest if they managed to get at least the assurance of capital returns of their assets.